With such an overwhelming response to the “Comportate Mal” track (Written and Produced by Big Preme), we felt that we should share it with all our DJ’s – Comportate Mal is one of those club bangers that people fall in love with even when you first listen to it. Big Preme’s – Comportate Mal has already been featured on LoMaximoProductions.com as well as the Mi Club iPhone/Android application. Displaying at an early age above-average musical prowess, Antonio Villarruel, better known by his peers as “Supreme” has demonstrated a life-long passion and commitment to the art form of music. Exhibiting early signs of his gift, beating rhythmic staccatos on coffee cans to the haunting melodies of Carlos Santana, mentored by father, Latin percussionist hailing from Guadalajara, México, Ernesto Villarruel; Supreme quickly found his calling. Newly nascent in the realm of music, young Supreme would find Southwest Detroit, known as the “Melting Pot” of Detroit’s culture, a veritable incubator, taking in myriad musical influences ranging from Marvin Gaye to Ice T.
From Willie Colon and Hector Lavoe to Big Pun. Never one to be close-minded when it comes to music, Supreme did not stop there; taking advantage of his years lived in Puerto Rico with his Puertorrican mother, he reconnected with his Caribbean roots. Returning to Michigan, Supreme would find the oft overlooked streets of Detroit as welcome proving grounds; testing his abilities in back-alley battles armed with only a penchant for improvisational wordplay and Gatling gun delivery, the Detroit underground music scene was stunned as Supreme triumphantly left lyricist upon lyricist outwitted and awestruck in his wake. Supreme, along with production partner La Mayeya, were the first producers in Detroit to introduce the impetus-enlaced rhythms of reggaeton to the eager ears of Detroit. Now working on his sophomore album, and first latin album “el Arquitecto”, Supreme is masterfully fusing bachata, salsa, merrengue, Vallenato and more with the larger than life sound that people have come to expect from this superstar in the making. Supreme has graced the stage with such household names as Julio Voltio, Fulanito, Monchy y Alexandra, Chingo Bling, Juan Gotti, Don Chezina, Rey Pirin, Fat Joe, Pit Bull, Alexis Y Fido and more. With untapped avenues of potential yet to be explored, it is clear that Supreme is one to be closely watched. Crafting everything from latin rhythm-infused club anthems to emotional arias, Supreme has taken the definitive mold of reggaetonero, rapper, and producer, and rendered them asunder, forming an entirely new sound, narcotic in its intensity, vivacious in its originality, and touched by that distinct genius which is uniquely “Supreme”. 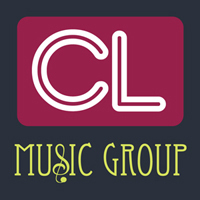 Founded in 2010, Corriente Latina Music Group is set to become one of the premier Latin Music Record Labels in the Latin Music industry. With years of experience in this industry and a proven track record with online promotions, we have and will continue to provide exclusive, cutting edge and premier music to the Latino music market. Corriente Latina has been synonymous with excellence in promoting the best up and coming talents and now the time has arrived to veer into a full operational record label. Signing a new world-wide digital distribution deal was a large feat. For what began as a website for Latin Music and Entertainment has evolved into what many consider the natural course for Corriente Latina. The first artists; Kufa Castro , Big Preme and Benjamin Arce will set the momentum for the label. Our team of professionals have exemplified what the industry is and the directions we will be taking.